According to mythology, the girl Ruhi (originally Sanskrit) means ascending, of higher value and soul. It also means spiritual, beloved. Girl name Ruhi is derived from Sanskrit word ruh (रुह्), which finds reference in Rig Veda and Mahabharata with meaning to rise, spring up, grow, develop, increase, prosper, thrive. Ruh (रुह्) finds reference in Rig Veda and Atharva Veda with meaning to cause to ascend, raise up, elevate. And also means rising, growth, sprout, shoot. Ruhi is a somewhat popular name in the USA. As per USA popularity chart, Ruhi is used by approximately 373 people in the USA as the name of their kids. Ruhi is not a popular name in India, according to the social media profile counts. Here Ruhi is used by a mere 648 people in India as the name of their babies. The Hindu baby name Ruhi is short, sweet, modern and unique. 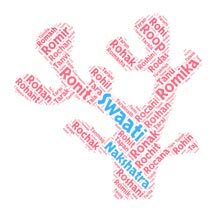 Name Ruhi is with good meaning attached to it.